As I was awaken by the alarm chicken this morning, the 1st thing in my mind was the excitement of BBQ with my Foundation classmates! Since exams were accomplished yesterday, hurray, we deserve to have fun! 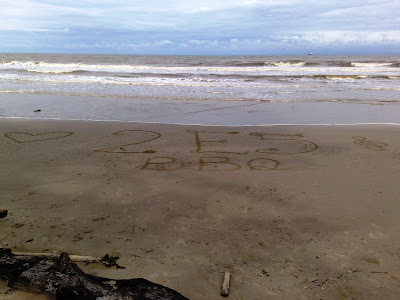 One hour before BBQ began, few of us gathered at Tanjung Beach(Miri) to set everything up. 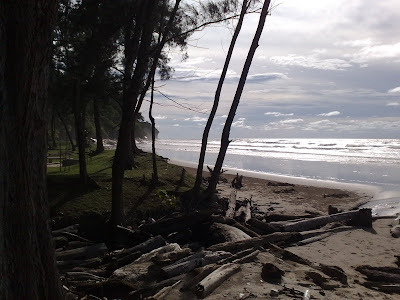 I look at the sea, the waves were awesome. It will be a great opportunity for me to “fight” against the crest and trough waves, and I did! 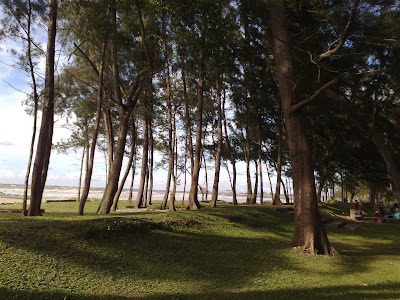 Spending more than 7 hours at there was not an easy task, games were enjoyed by everyone has pleasant me, and most of us ended up burnt by the sun. Worse come to worst, I lost my voice! This might be our last gathering for our class. 1E5/2E5, farewell. This post will be here forever until the end of time. I am glad to choose 1E5 for my class even though I joined one week later after the First Semester began. See you guys again next year in Degree, if possible. Cheers. *For more stories about today's event, click HERE. 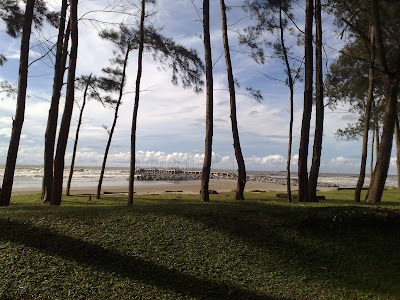 Few scenery of Tanjung Beach in Miri, Sarawak. Click on the image to enlarge.